Look, this a dumb series of questions and I can only apologise. The loss of the TMP Search has hit this for me. I can count buttons in the Napoleonic Era, I can recognise any mark of Finnish tank in WWII and I know the right radar array for USS Pennsylvania in dry dock on Dec 7th (however much censored in most photos) but claim no expertise in ACW. One of my sons, today, has been awarded a UK scholarship, for a Doctorate in some weird topic to do with the Guerrilla War in Missouri ….and I want to do a little diorama for him to celebrate this. Let me ask the experts then. 28mm Napoleonic figs (unless there is some larger single figure of someone like Quantrill, I guess) are what I am used to. Perrys, in UK, do six mounted figures and my research has shown Dixon miniatures also, which I hope will mix and match. What figures can I use? I imagine them in very dull colours surely. Browns and greys? This red leg idea, for Missouri? Can you point me to references I have missed re their appearance? Look, any advice here, for someone in an era outside their comfort zone…really welcome! Glad I read the post before I reported you to the authorities! Foundry has quite a few figures for this in their Old West line. Many are meant to represent certain historical personages. They have both sides. 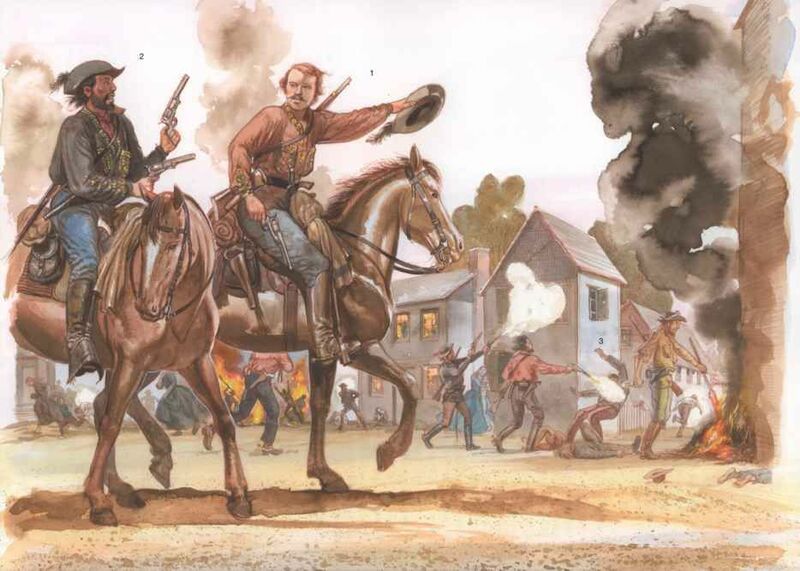 The guerrilla war in Missouri-Kansas rapidly turned into a brutal series of atrocities and counterattrocities. I am not sure how a depiction of that would go over. There's a company in England called "Company D Miniatures" that is doing good line of guerillas companyd.co.uk/welcome. Redoubt, Perry and Foundry all have limited numbers of them as well. Civilian clothes, red shirts were supposedly a common item amongst the guerillas, as per the book cover in CC's post. Woe to Live On by Daniel Woodrell is a fantastic novel on the subject which was made into a dull film called Ride With The Devil, which might give you some ideas for diorama subjects. While we are on this topic, what is the best book on this theatre of the ACW? A perusal of Amazon reveals alot of books, some controversial. Any thoughts? I thought you ACW folk were totally apathetic about uniforms. Funny…the more I get into this the more it is all coming back to me about ACW. Please forgive this and let me say how much I appreciate any response to my questions. One day I will post the results onto this forum…..
Trajanus, I see what you mean….thanks for HELP with etc……. I am not trying to restart what sounds a thoroughly unpleasant business…yet a priority in UK for a doctorate….fine by me ! Be careful trying to mix figure lines. Company D stuff is right up your alley, but much larger than most 25-28mm lines. They might work with Redoubt, but it's far from a sure thing. To get an idea of the era, give Ride with the Devil a watch. Let me just again thank all you ACW experts for pointing me in the right direction. Books on order, hunting for DVD of Ride with the Devil(what a shame that it was such a financial disaster). 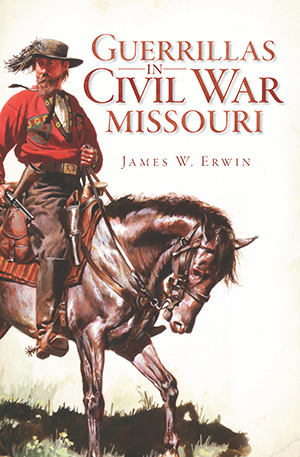 I now know all about Bushwhacker shirt designs, Missouri Militia uniforms etc……. Great help to a complete novice here! Google images of "civil war guerilla shirt" for some links to depictions of the clothing worn by the bushwackers. 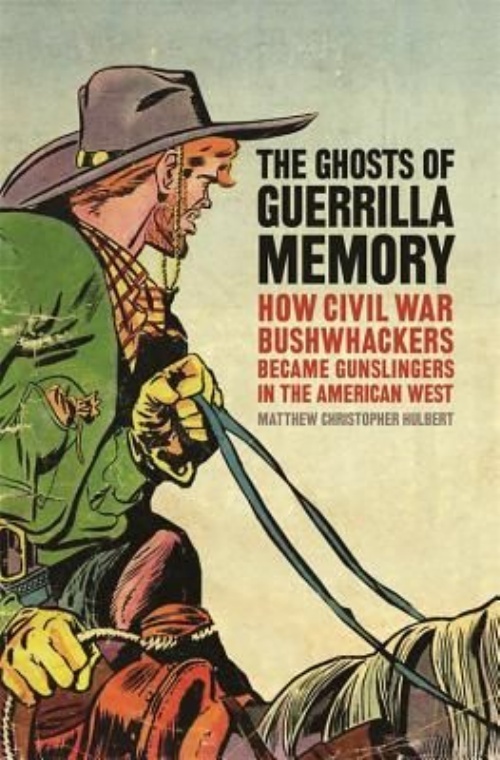 The standard history of the guerilla war in Missouri is Richard Brownlee, Gray Ghosts of the Confederacy: Guerrilla Warfare in the West, 1861-1865 (1958). 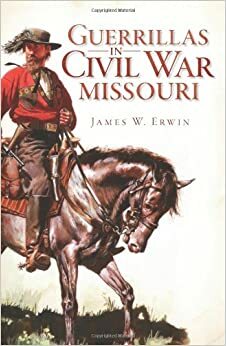 And while compiling this short list I also came across Mark Geiger, Financial Fraud and Guerrilla Violence in Missouri's Civil War, 1861-1865 (2010). According to this review link I think this is a book that is going onto my order list. My lad had a copy of Beilein and almost the first page I opened was about the symbolism of the embroidery on the guerilla shirt. I had not imagined that Google would be such a source, until I followed your suggestion. Masses of replicas of course, marvellous sources of info. I have figures on order from several of the companies suggested. I think they will vary greatly in size. Dixon's are "larger 25mm", Company D and Redoubt look much bigger, but I will mix and match. Funny enough Perrys I have not yet pursued. I really wanted the "characters". That Bloody Bill Anderson was an unpleasant cove by all accounts….a hard man but fair…..